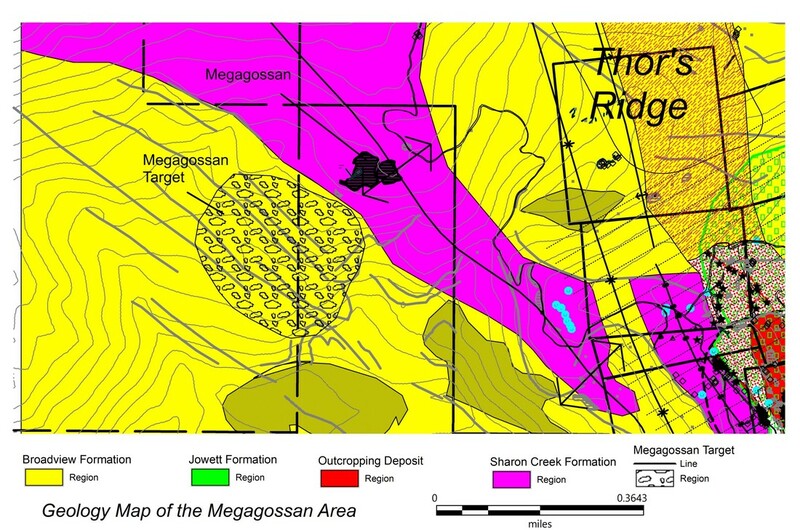 A large Ni-Cu bearing gossan located 1.2 km to the northwest of the Thor deposit originates from the contact between the underlying carbonaceous Sharon Creek Formation and the overlying Broadview Formation. 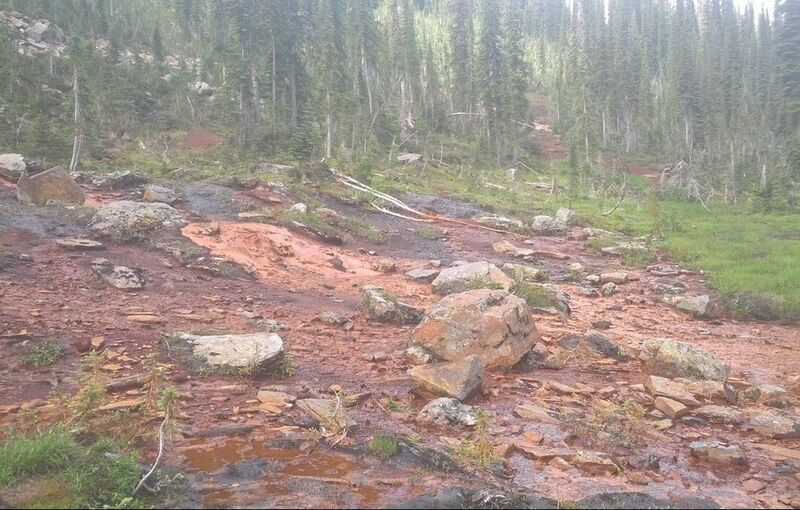 Previous geological mapping at Megagossan has shown the presence of a thick formation of volcanic rocks along the contact, and the very large gossan almost certainly has origins from a buried sulphide body on the west side of the Thor Anticline. The severe topography in this area makes conducting ground geophysical surveys nearly impossible, and the target must either be delineated using helicopter-borne geophysical surveys, or drilled without further delineation. The classic interpretation of the Megagossan was that it was related to an ultramafic intrusive body, but this new information suggests that the gossan has some direct connection to the Ag-Au-Pb-Zn-Cu deposit at Thor.